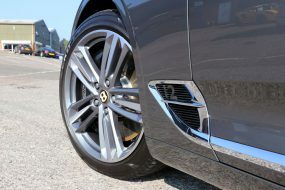 Traditionally Random Orbit (or Dual Action machine polishers as they’re also known), have been considered the domain of those new to machine polishing who simply want to improve the overall appearance of their vehicle’s paintwork. Rotary polishers require experience and careful handling and so true paintwork correction has always been the remit of the professional detailer or the seriously serious enthusiast! 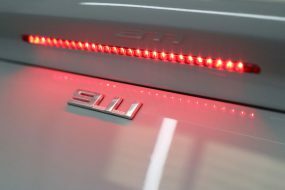 Paintwork correction with a Dual Action polisher has (so far) had only two serious contenders: the FLEX 3401VRG Positive Drive Orbital Polisher and the Meguiar’s DA Microfibre Correction System. The FLEX features a forced rotation or direct drive for the additional ‘bite’ but this motion requires control and deters some users. 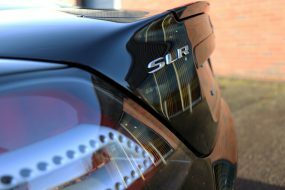 The Meguiar’s DA Microfibre System provides excellent results but it takes a bit of getting used to in order to achieve its maximum potential. 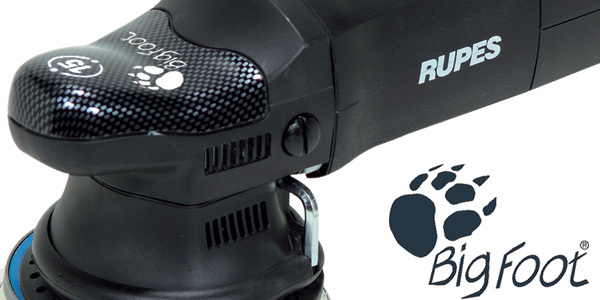 The RUPES BigFoot Random Orbital Polishing System looks set to change the game all over again with an increasing number of professional detailers using the RUPES BigFoot random orbital for their heavy compounding work, right up to the final polishing stages. Why? Because RUPES has managed to accomplish the unthinkable: an easy to use dual action machine polishing system capable of correcting most paintwork imperfections on most types of paint in significantly less time than a rotary polisher! The RUPES BigFoot LHR 15ES with its 15 mm throw allows even the most inexperienced user to achieve results beyond those achievable with traditional Dual Action polishers, around 40% faster and using up to 40% less energy! A much favoured feature is the lack of the traditional Dual Action ‘wobble’ which can cause problems when polishing softer, ‘sticky’ paint finishes and make the machines more tiring to handle, particularly over long periods of use. Features, Benefits & Why It’s So Good! 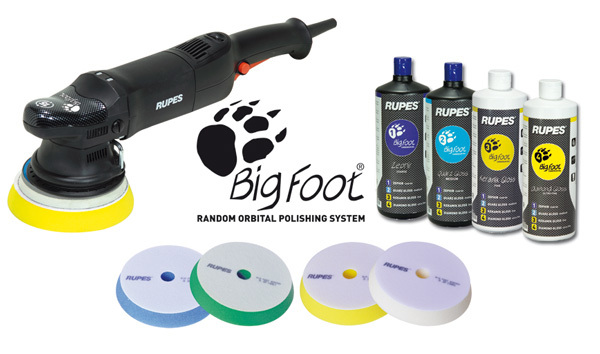 The RUPES ‘BigFoot’ Random Orbital Polishing System consists of 4 pads and 4 products (2 compounding and 2 finishing) guaranteed to give even the most inexperienced user amazing results. The pads are constructed from a specially formulated foam resin designed specifically to maximise the yield of the compound and fully benefit from the mechanical stress generated from the motion of the large (BigFoot!) random orbit. 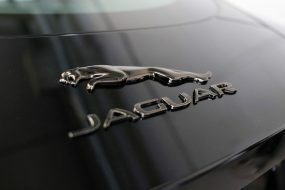 The BigFoot System has four components to it, although depending on the type of paint and the level correction required, it may not be necessary to follow all four stages. Zephir Compounding Gel (and the Coarse Blue Compounding Pad) will take care of stubborn scratches, swirl marks, oxidation and other paintwork imperfections. The Quartz Gloss and Green Medium Polishing Pad remove the lesser marks and blemishes. Keramik Gloss is a fine polish and when used with the Yellow Polishing Pad successfully refines out marks on any type of paintwork including hard clear coats. 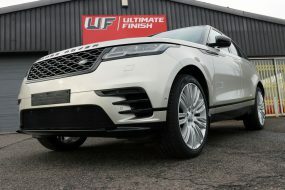 Diamond Gloss is the final finishing polish and used with the White UltraFine Finishing Pad removes any fine scratches and guarantees a perfect, high gloss shine.